Marketing is all about standing out on store shelves – sometimes crowded shelves, where your only hope of closing sales lies with making a solid first impression, and you need to make them quickly, before shoppers move on. So what is the best way to set yourself apart from competitors operating in your retail sector? The answer depends on what you sell and who your customers are, but there are a host of other factors at work as well. And the playing field changes continually, responding to consumer preferences and spikes in popularity of particular products. Sometimes retail trends can hardly be explained at all, reflecting prevailing economic conditions or other outside influences. But packagers are constantly pushing the envelope of innovation, finding new ways to bring attention to consumer goods and reinventing their packaging to win more customers. 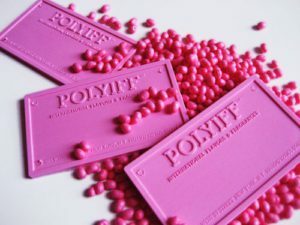 Scented plastics provide new avenues for marketing exploration as branding continues to evolve beyond logos and graphics. Today’s consumer experience is truly multimedia and multi-sensory, so why not bring aromas and scents to packaging? The use of scented polymers is nothing new. In fact, it has been around long enough to find its way into several mainstream branding campaigns. Garbage bags, for example, are natural targets for odor control, so manufacturers began incorporating their own scents into the plastic used to make bags. The primary impact tones down the smell of garbage, but as a secondary benefit; consumers begin to associate the efficacy of the bags with their pleasant aromas, prompting repeat sales and brand loyalty. Scented plastic is not reserved for use in end-user products, like bags, but can also be utilized for packaging a wide variety of consumer goods. Shampoo and other health and beauty products use scented containers and caps to protect product integrity and enhance the consumer experience. Water companies have also used scented plastic in their packaging materials to enhance the flavor of their bottle contents. In addition to enhancing food and beverage flavors, scented plastic is also used to stimulate associations for other products. PET cartons, for example are covered with layers of scented coatings to bring the aromatic plastics to consumer level – purely for merchandising and marketing benefits. Fresh linen aromas, for instance, inspire comfort when attached to domestic goods. And baby powder scents appropriately embellish child care products on some store shelves. Scented packaging is designed to give off more intense aromas when handled, so consumers are drawn to make purchases. Unique scented packages include razor manufacturers’ use of aromatic plastics in their designs. While the scent is often attached to the actual razors contained in packages, opening the cello bags or plastic enclosures releases aromatic burst that enhance the sensory experience for users. Even cereal makers have employed scented packaging materials to enhance the marketing value of their packaging – adding fruity aromas to their shelf presence. And the technology is only advancing. 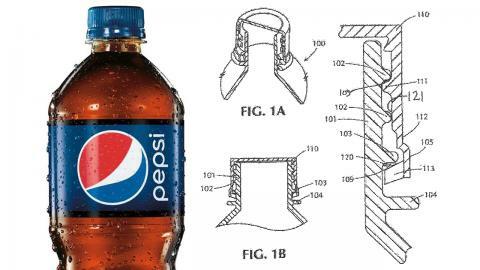 Pepsi recently patented an “aroma delivery system” which utilizes capsules filled with aroma vapors to release a powerful scented blast when PET bottles are opened. Manufacturers seeking cutting-edge packaging solutions are considering all the options available to them, including scented plastics. The innovative approach enhances marketability and creates strong brand associations. Consulting with a packaging professional is the first step toward finding scented packaging solutions for your portfolio of products. Give us a call to help with your next scented packaging project or to discuss your packaging needs.